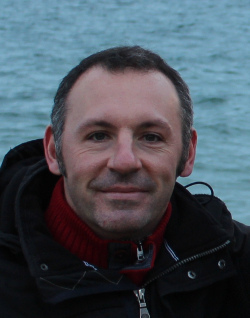 Joël Aubin is a research engineer at INRA, in the UMR SAS at Rennes. He holds a PhD thesis on Life Cycle Assessment (LCA) of aquaculture systems, and a HDR. His research focuse on the environmental assessment of animal production systems, particularly aquaculture. He is recognized for its expertise in multicriteria assessment of the sustainability of agricultural and aquaculture systems. 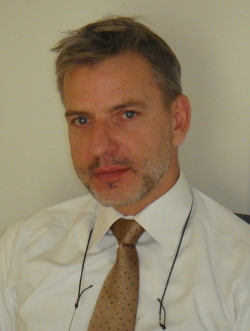 He manages the multi-criteria assessment platform MEANS of INRA. He is involved in many interdisciplinary projects, particularly on aquaculture in France and in tropical countries. He coordinated the ANR PISCEnLIT project on ecologically intensive fish farming and is currently coordinating a European project on the design and evaluation of multitrophic integrated aquaculture systems: IMTA Effect. He is responsible for the environmental assessment of the insect production systems of the ANR Desirable project. Marc BARDINAL is an Engineer in Agriculture of the higher Institute of Agriculture Rhône-Alpes. After developping agricultural and forestry policies in the voluntary sector, he joined the Environment and Energy Management Agency (ADEME) in 2006 to deal with energy and climate policies of communities and the development of methanisation in Limousin and Lorraine. Since 2013, he has been in charge of energy (energy efficiency and renewable energy), biomass mobilization and innovation in the agricultural sector. He has supported research, development and innovation projects on these themes, notably in the context of the Investments of the Future program; he coordinates on the agricultural aspects, the call for project “Industry and Agriculture Eco-effective”. Dr. ir. Leen Bastiaens obtained a master in Bio-engineering (1993) and a PhD in Applied Biological Sciences at the Katholic Univeristy in Leuven (1998). She is active as team manager and project manager at VITO with 20 years of experience in applied scientific research (from TRL1 till TRL8) in the field of soil and groundwater remediation and biotechnology (lab-scale & pilot test in the field). More recently (2014) she became also involved in the field of ‘renewable extracts and chemicals’. Her current projects in this field are related to biosurfactant production & isolation, algae harvesting and biorefinery of algae, insects and side-streams. She was active as coordinator, WP-leader and/or partner in various industrial and research projects (FP5, FP6, FP7, EUREKA, LIFE, H2020, national projects). International research projects she coordinated comprise MULTIBADEM (LIFE 2008-2010), AQUAREHAB (IP-FP7 2009-2013), MIP-IN (EUREKA-EUROSTARS 2013-2015) and InDIRECT (BBI 2016-2019). She (co)-authored >40 SCI papers and 3 patents, and supervised multiple master and PhD-students. As coordinator of the InDIRECT project, she is currently actively involved in values chains where insects are part of the biorefinery process. Claire BEAUVAIS is a veterinary doctor, a liberal practitioner in Ile de France. Graduated in beekeeping /honeybee pathology from the veterinary schools of Alfort and Nantes (ONIRIS), she has chosen to expand her activity as a beekeeping veterinarian to that of insect breeding for animal feed and human food, in the aim of bringing its experience in the prevention of animal diseases and biosecurity in this sector under construction. Its concern is to contribute to the development of an environmentally-friendly livestock, of animal welfare and human health.Member of the beekeeping committee of the SNGTV (National Society of Technical Veterinary Groups) and President of the GTV (Veterinary Technical Group) of Ile de France, she is involved in animal health management in collaboration with the livestock sector, veterinary practitioners and state veterinary services (DRIAAF, DDPP) in Ile de France. Diplômé de l’ESC REIMS ou NEOMA en 1990, il commence sa carrière professionnelle chez ARTHUR ANDERSEN. Après 2 années d’auditeur, il créé en 1992 un Bureau d’Etude spécialisé dans l’Environnement et la Santé. Quelques années plus tard, l’entreprise est un des acteurs privés majeurs des audits environnementaux, des diagnostics déchets, du Management environnemental (c’est le début des référentiels SME et 14001). Il participera dès 1993 (et jusqu’en 1999) à la création des référentiels des Bâtiments à Haute Qualité Environnementale (HQE) au sein d’une cellule de réflexion du Ministère du Logement et des Transports. Il suivra une formation au CNAM dans le domaine du Génie des Procédés. Rédacteur en chef en 1998 d’un ouvrage pour l’ADEME ‘Les Technologies Propres, un enjeu et toujours un défi’ (coll. LES CAHIERS TECHNIQUES), sa passion pour les technologies de l’environnement va l’amener à devenir Expert Technico Economique et Expert Projet pour l’ANVAR, puis OSEO, puis BPI et le Ministère de l’Industrie. Depuis 2014, il est également Expert H2020 pour la Commission Européenne (référencé n°EX2015D247077). Enseignant en DESS (bac+5), de 1996 à 2000, il a apprécié pouvoir transmettre à des jeunes. Inventeur et co titulaire de brevets, co auteur de publications, Valery Bonnet a une vision technique et pragmatique des techniques de l’environnement : elles doivent traiter les problèmes d’impacts environnementaux des activités industrielles sans créer de transfert de pollution et, à un même degré d’importance, permettre à l’industriel de mieux maîtriser son process, sa qualité, la sécurité de son personnel dans un contexte de coûts maîtrisés, voire d’économies d’énergie. BIOWIND, créée en 2006, a intégré en 2014 le groupe DELTA NEU, leader européen du traitement de l’air industriel. Il y est responsable du développement du Pôle Décontamination de l'air. Il est également responsable des Développements Stratégiques avec les Comptes Clés du Groupe NEU. Dr. Christine Burel is a research scientist at the National Institute of Agronomic Research (INRA), Unit of Nutrition, Metabolism and Aquaculture (NuMeA) at Saint Pée-sur-Nivelle (France) since 2012, where she is carrying research about new ingredients in fish feed and their impacts on fish performance and intestinal capacities. The main model is rainbow trout (Oncorhynchus mykiss). 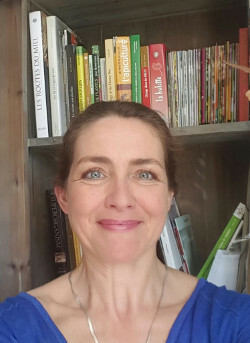 Dr. Burel started her research activities on fish nutrition twenty years ago (Unit of Fish Nutrition, INRA Saint Pée-sur-Nivelle /IFREMER Brest) by studying the impact of the incorporation of plant-proteins in fish feed on the performance, metabolism and physiology of rainbow trout. She obtained her doctoral degree in 1999 at the University of Rennes 1 (France). As part of a post-doc in Sweden (1998-2000, SLU-Department of Animal Nutrition and Management, Uppsala, and SLU-Department of Aquaculture Umeå), she studied the animal feeding behavior in fish and poultry. She completed her education by introducing herself to molecular biology techniques thanks to a postdoctoral training between Portugal and France (2001-2002, University of Porto-CIIMAR and INRA Saint Pée-sur-Nivelle) in which she studied the molecular and enzymatic mechanisms of tissue lipid storage in fish. In June 2002, she was recruited by ANSES (French Agency for Food, Environmental and Occupational Health & Safety) to become the head of the Animal Feed Unit at the laboratory of Ploufragan. She was responsible for developing research projects on the risks in animal feed for the animal health and product safety (dietary factors disturbing the animal gut flora, chronic toxicity of mycotoxins, drug residues in foodstuffs...). During that period she coordinated an European Project (STREP PoultryFlorGut, 2005-2008) and was member of the ANSES Expert Committee in Animal Feed (2002-2008). 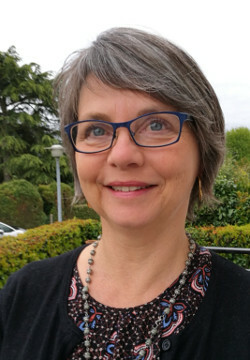 In 2012, Dr. Burel joined back the INRA laboratory of Saint Pée-sur-Nivelle where she is in charge of the research on the impact of the feed on the gastro-intestinal tract functioning, as well as the assessment of new feed ingredients and feed additives in fish feed as part of institutional research projects or through collaborations with private companies. 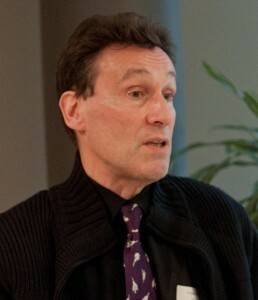 Nicolas Césard was awarded his PhD by the EHESS (École des Hautes Études en Sciences Sociales) in 2009, he is an anthropologist and an ethnobiologist. 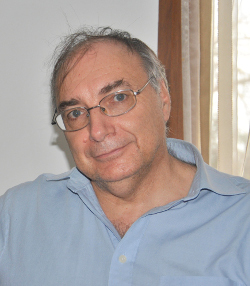 A senior lecturer in ethnoentomology at the National Museum of Natural History since 2016, he is a charter member of the ecological anthropology and ethnobiology research laboratory (CNRS-MNHN), where he studies interactions between man and insect (or ethnoentomology) within different cultural contexts. This research focusses more particularly on the management of natural resources, trading networks and the implications, whether economic or social, of the exploitation of these resources over time. For his research he regularly spends time in Indonesia and Japan. Jérôme COSTIL, French national, was born in 1963. He is an agriculture engineer, graduated in Gembloux Agro Biotech (University of Liège, Belgium). He started his career in 1985 in Côte d'Ivoire, in a project aiming at the development of aquaculture within local small farmers (raising Tilapia nilotica in ponds). In 1989, he returned to France and joined BURGEAP, an environmental consulting firm where he worked for 23 years, at first as an engineer working in the field of water and soil treatment. He gradually acquired a very broad expertise on all the issues related to the environmental engineering, pollution clean-up and waste disposal. He has carried out numerous assignments abroad, notably in Africa and the Maghreb, areas he knows very well. He contributed to the emergence of the polluted sites decontamination activity in France, being the chairman of the French professional union of sites cleanup companies (UPDS) from 2001 to 2004. In 1998, he took part with two partners in the management buyout of BURGEAP, of which he became Deputy CEO and then CEO until 2012. During this period, BURGEAP developed strongly, both through internal growth and acquisitions, becoming a major actor in environmental engineering in France, with 350 employees, 35 million Euros sales, several subsidiaries abroad and an association with the German company GITEC-IGIP. In 2013, he left BURGEAP. While still active in the engineering field as Chairman of the Management Board of GITEC - IGIP, he decided to contribute to solve in a practical and effective way the problem of lack of sustainable protein resources for feed. Thus, he brought together 4 associates with complementary skills, and created MUTATEC, with the ambition of setting up a network of insect farms for the bioconversion of organic residues in proteins for animal feed. Professional experiences Research Associate CRIG (Centre de Recherche des Instituts Groupés) on the “ALERBLOT” project related to wheat allergy, and funded by the Wallonia region from the 1st of February 2016 to the 14th of September 2016 and from the 21th of November 2016 to the 31st of January 2017. Professor in Technical University, HELMo (replacement of a teacher) from 15th of September 2016 to 18th of November 2016 in different lessons i.e.hematology, immunology and clinical chemistry. Research Associate CRIG on the “ENTOMODOT” project related to insects allergies, and funded by the Wallonia region from the 1st of February 2017 to the 14th of September 2016 and from the 21st of November 2016 to the 31st of January 2017. Degree MASTER in biomedical sciences, at the University of Liège, obtained with great distinction in 2015 (2009 - 2015). Master thesis “Development of a method for the determination of cholecalciferol by LC-MS/MS and study of 25-hydroxyvitamin D3 and its precursor”, this end-of-study internship was in the department of Clinical Chemistry of the Professor Etienne Cavalier in the CHU of Liège. Anne has a strong experience as entrepreneur in various fields of activity: law, marketing, art, and design development, along with social and environmental impact volunteering. In 2001, she created and managed her own law firm in Madagascar. She has been elected as General Secretary of ASEAN FOOD & FEED INSECTS ASSOCIATION (AFFIA) in November 2016. 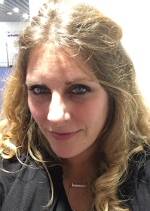 A biochemist by training (Strasbourg then Lille), Sandrine was trained in technico-commercial, management and recently in management of operational excellence (Lean six sigma). She has been able to exercise her skills in various sectors such as agri-food, industrial cleaning or national education. Since 2008, she has joined the IAR competitiveness cluster team, first as a project manager on the Ingredients & Active ingredients (cosmetics, phytosanitary and food) and since 2013, the Ingredients theme (food and feed). At the same time, Sandrine contributed to the development of the microalgae resources within the cluster and to the development of the French sector. IAR is the French competitiveness cluster of the bioeconomy: valorization of agricultural, forestry and marine biomasses (production and processing) for food and feed applications, biosourced materials, biomolecules and energy. Jean-Philippe Deslys, né le 16/04/1960, est MD (1985), PhD (1993), titulaire d’une HDR depuis 1998, directeur de recherche au CEA (Commissariat à l’Energie Atomique) depuis 2003 et chef de service (SEPIA - Service d’Etude des Prions et des Infections Atypiques), responsable du laboratoire associé au Centre National de Référence de la maladie de Creutzfeldt-Jakob, président de l’association scientifique internationale NeuroPrion. Il préside par ailleurs depuis 2015 le comité scientifique de Sup’Biotech (école d’ingénieurs en biotechnologies). Spécialiste des maladies à prions, il est auteur ou co-auteur de plus de cent dix publications dans des revues scientifiques internationales, portant sur les principaux aspects appliqués de ce domaine de recherche (diagnostic des maladies à prions, techniques de décontamination, évaluation du risque, approches thérapeutiques dans différents modèles expérimentaux) ainsi que sur les mécanismes sous-tendant ces pathologies. Ses activités ont donné lieu au dépôt de plusieurs brevets CEA dont celui sous-tendant le test prion développé au CEA qui a été le plus vendu au niveau mondial suite aux crises liées à l’encéphalopathie spongiforme bovine (maladie dite de la « vache folle »). Dans le cadre de sa stratégie de sécurisation passive vis-à-vis des prions, le SEPIA a développé des approches innovantes de décontamination de matières premières animales dont certaines sont d’ores et déjà protégées par des brevets. La valorisation de ces travaux l’amène aujourd’hui dans une perspective plus large de recyclage zéro déchet de matières premières végétales et animales peu valorisées tout en garantissant la sécurité sanitaire. En effet, des mécanismes de type prion sont désormais admis comme sous-tendant la plupart des maladies neurodégénératives, notamment la maladie d’Alzheimer, et des facteurs environnementaux sont de plus en plus soupçonnés. Le SEPIA a donc décidé d’utiliser son savoir-faire pour proposer des solutions opérationnelles garantissant une sécurisation de nouvelles techniques de recyclages qui peuvent être développées grâce aux biotechnologies dans des approches Low Tech en vue de leur future rentabilité économique. Il a participé notamment au projet ANR DESIRABLE sur le volet sécurité sanitaire des co-produits animaux utilisables dans l’alimentation d’insectes (hermetia illucens). 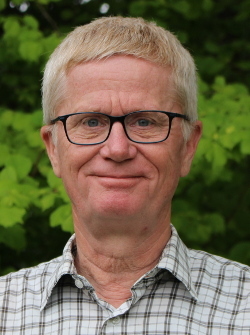 Jørgen Eilenberg obtained his PhD in 1985 and his DSc in 2003, in “Insect Pathology and Biological Control”. Since 2004 he has been employed as professor at University of Copenhagen. His main research has been insect pathogenic fungi and bacteria. Focus has included fundamental aspects: natural occurrence and prevalence, phylogeny, infection processes, and applied aspects: biological control using microorganisms, insect diseases in insects for production. He has supervised MSc and PhD students and has been involved with many national and international projects. He was 2012-2014 president of Society for Invertebrate Pathology. Since ten years, he has been working with insects as human food and animal feed, with emphasis on occurrence of insect pathogens in production facilities and how to avoid them. This research is often done in collaboration with companies. Also, he is coordinator of INFOOFEE, a Danish network for researchers with insects as food and feed (www.plen.ku.dk/INFOOFEE). He is a member of the study commission on insects, founded 2016 within EAAP (“European Federation of Animal Sciences”, www.eaap.org). Charlotte is a PhD student and is in charge of the development of meat-free steak tasting like meat but based on insect protein with the start-up JIMINI’S. She graduated in food processing engineering at Montpellier SupAgro and gained practical experience in research and development in biotechnologies. First she worked in the laboratory of the Adisseo company, specialized in animal nutrition and health, producing and characterizing a soya meal enzymatic cocktail so that cows could have better digestion. Then she worked in the laboratory of the Ynsect company, specialized in insect growing and processing, formulating their diet and adapting their living condition to maximize the insects growth performances while minimizing their diet cost, so that the company could develop a large-scale insect bioraffinery. She then gained experience in zootechny, nutrition, fermentation, microbiology, molecular biology… She finally decided to keep on working and to give her own contribution to the insect industry and embraced this challenge, formulate a meat-like meat-free steak based on insects, as a thesis gathering a laboratory, AgroParisTech, and a young company, JIMINI’S, that is specialized in edible insects production and commercialization. She is working with researchers from the Joint Research Unit (UMR) Food Industrial Engineering (GENIAL) in the National Institute for Agronomic Research (INRA). Guillaume GRAS is co-founder of InnovaFeed and in charge of Business Development. Previously, Guillaume worked for Sanofi in Marketing & Sales department and was in charge of Genzyme product line integration. He also has an experience in prototyping and industrial scale-up of bi-fuel production units. Guillaume hold an Engineer degree from Ecole Centrale Paris and a master degree in biotechnology from Queensland University. Lars-Henrik Heckmann is Technology manager and leader of the insect production group at the Danish Technological Institute (DTI). 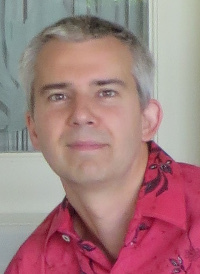 Lars has a strong academic background in biology (ecology, entomology, ecotoxicology and molecular biology) and holds a PhD from University of Reading (2007) and a MSc from Aarhus University (2003). He has extensive R&D experience based on participation in and coordination of numerous national and international projects; and has published over 30 peer-reviewed articles and book chapters. 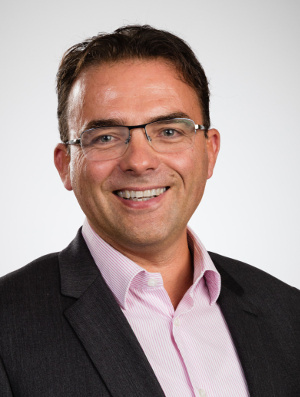 Through employment in the biotechnology industry (2010-2014), Lars has acquired detailed business understanding as well as practical experience in regulatory affairs. Since 2014, he has been the main driver of building an innovation chain at DTI focusing on insects as feed and food; with the current portfolio covering commercial activities and several R&D projects on insect production (e.g. black solider flies and mealworms) and development of various insect-based products. Currently, one of the main projects at DTI is inVALUABLE (Insect Value Chain in a Circular Bioeconomy), which is running from 2017-2019 and has a total budget of 3.7M EUR. The project focuses on industrial mealworm production and includes 11 partners from the entire value chain. 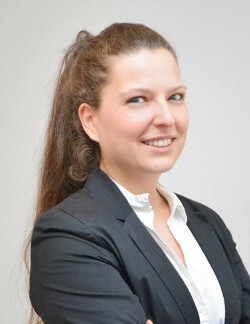 Brigitte Heidemann is inspector of the veterinary Public Health and deputy head of the Office of Inputs and Public Health in farms, at the Directorate-General for Food of the Ministry of Agriculture and Food. She also is animal by-products expert. She has a veterinarian training, completed by a CEAV (Certificate of veterinary comprehensive study) in veterinary Public Health and by a PAGERS master’s degree in analysis of public policies (Food policies and health risk management). She’s worked for fifteen years in the departmental services of the Ministry of Agriculture and Food in the department of Mayenne at the inspection of establishments in the field of animal feed, animal by-products, veterinary pharmacy and slaughter of poultry. She also participated, on behalf of the Ministry, in twinning missions to strengthen the cooperation with the Moroccan veterinary services in the field of animal feed. 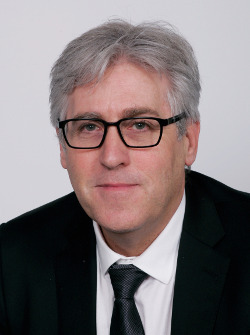 Mr. Antoine Hubert is Chairman, CEO and co-founder of YNSECT and also President & co-founder of the International Platform of Insects for Food & Food (IPIFF). 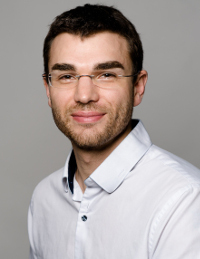 Antoine Hubert was previously senior scientist at TOTAL and ALTRAN where he managed R&D programs on Sustainable Development applied on bioresources, soil remediation, waste-to-energy and recycled resources. He also launched in 2007 and led the non-profit organization WORGAMIC, dealing with food sustainability, promoting urban agriculture and organic waste recycling within cities, and in 2011 the company ORGANEO operating on biowaste management. He is also Board Member of Vitagora Competitiveness cluster and AgroCampus West school in France. 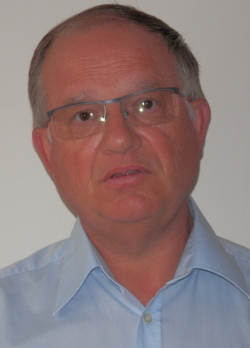 He has a background in agronomy and life sciences from AgroCampus Rennes and AgroParisTech Engineering schools. Esther Katz, PhD, is a French anthropologist, senior scientist at the French Institute of Research for Development (IRD). She is a member of the joint research unit PALOC “Local Heritage and Governance” IRD/MNHN, based at the National Museum of Natural History (MNHN) in Paris. 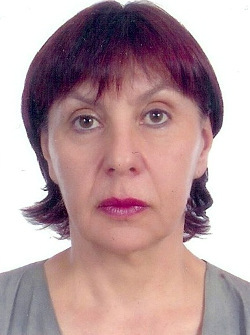 She is the co-coordinator of the line of research “biological and cultural diversity”. She is a member of the editorial board of the international journal Anthropology of Food. She has been acting as an expert at the IPBES (Intergovernmental Platform on Biodiversity and Ecosystem Services). Her main research topics deal with anthropology of food, ethnobiology, ethnoclimatology and cultural identity. She has been doing fieldwork in Mexico since 1983 and in Brazil since 2007. She has also carried out fieldworks in the Congo and Indonesia and, on short periods, in Central and South America, Laos and Europe. She has been interested in entomophagy since her first fieldwork in Mexico. She is presently involved in projects on food heritage, edible insects, agrobiodiversity and climate change in Latin America. She is the co-editor of 2 journal special issues and 3 books. She has published 106 articles and book chapters, presented 108 papers in national and international conferences. She has co-organized 3 international conferences as well as 7 sessions in international meetings. She has published 2 articles, 2 book chapters and a book introduction on insect consumption. Danielle Lando was awarded her PhD by the Institut Pasteur for her research in virology. She led a career in the pharmaceutical industry as a researcher in cellular and molecular pharmacology before she was put in charge of biotechnologies within the Roussel-Uclaf group, now called Aventis. She has striven for drawing her company closer to the academic world by promoting collaborative projects. She was a member of the CNRS National Committee from 1995 to 2000. She has worked as a volunteer scientist with Adebiotech since 2001 and is currently the Vice-Chairwoman of Adebiotech. 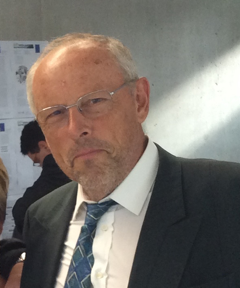 Franck Launay obtained his Engineering Doctorate from the Compiègne University of Technology (UTC). He started his career in R & D within the ARD company, in which he has been among other things at the origin of the development of the Fermentation department and was in charge of pilot projects. After having followed-up research projects at the industrial development stage in the course of setting up a company producing raw materials for the cosmetic industry, the SOLIANCE company, he joined an SME involved in engineering processes and specialized in the fields of sugars and biotechnologies. He is now the Chairman of this company, ISPB, which enjoys a solid reputation in the development of industrial units dealing with its well-known fields of activities, but also in the study and the setting up of pilot projects and demonstration units for start-ups involved in innovating projects that contribute to the development of the bio economy in France and abroad. Patricia Le Cadre est ingénieur agronome AgroParisTech et a rejoint le Céréopa en 2007. Elle y est responsable du pôle alimentation et filières de production animale. Elle a auparavant exercé différents postes en lien avec l’alimentation animale pendant 20 ans au sein du groupe IN VIVO. Elle mène des études liées aux stratégies d’approvisionnement des cheptels et à la mise en marché de matières premières destinées à l’alimentation animale. Elle possède une vision transversale des filières (de la fourche à la fourchette) grâce aux études réalisées et au réseau de partenaires du Céréopa. Patricia Le Cadre anime aussi un site internet interactif dédié au suivi du marché mondial des commodités (www.vigie-mp.com) et destinés aux acteurs de la nutrition animale (fournisseurs de matières premières, fabricants d’aliments, éleveurs). Elle y livre des analyses de marché mensuelles. En tant qu’analyste, elle anime depuis plus de 25 ans des journées rassemblant l’ensemble des fournisseurs et utilisateurs des matières premières agricoles (céréales, tourteaux, acides aminés, etc.). 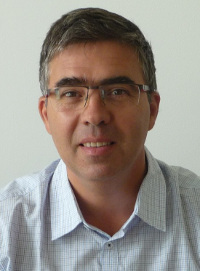 Philippe Le Gall is a scientist at the "Institut de Recherche pour le Développement". He is posted at Gif sur Yvette (France) in the UMR IRD 247 "Evolution, Génomes, Comportement et Ecologie". His main interests concern the study of Insects/plant relationships, ecology, biodiversity, biogeography, Taxonomy of Scarabaeoidea beetles and development of the production of edible insects. He principally worked in Côte d'Ivoire, Republic of Congo, Bénin, Cameroon and Gabon. He is an expert in Biodiversity description, especially for impact studies. He published more than 100 papers a third of them in indexed International Journals and 10 book chapters. He was a scientific advisor of 4 documentary movies. He is a member of different entomological association and today the 2nd vice-chairman of the Société Entomologique de France, the honorary chairman of Living Forest Trust and a member of the permanent secretary of the Conférence Internationale Francophone d'Entomologie. His Royal Highnes Sentieh II Fon of the Oku peoples in Cameroon honoured him as Fai Ntum Oku. Michel Lessire post-graduated in nutrition at the Paris VI University. He was recruited by the INRA poultry-farming research unit in 1979 in order to develop a survey on lipid digestibility by fowls. He also had to develop a department dedicated to the evaluation of feeds and raw materials. His work led him to devising in vivo methods for digestive assessment that are adapted to different avian species. In parallel to usual academic publications, his results have been fed into the composition tables of raw materials used in poultry-farming, published by the INRA and the AFZ. He has led an INRA research team and is part of different expert groups or scientific councils. Grégory Louis, fondateur d’Entomo Farm, un élevage d’insectes éco-industriel à Blanquefort. Nourrit depuis ses huit ans une passion pour les insectes – il les élevait dans sa chambre – pourrait être une réponse aux enjeux alimentaire d’aujourd’hui et de demain. Entouré d’entomologistes, d’ingénieurs industriels & agronomes, il développe son projet à l’échelle industrielle pour produire de la farine et de l’huile d’insectes. Avec comme première ambition de changer l’alimentation des poissons d’élevage – aujourd’hui constituée de farines de poissons pêchés en mer – par une farine d’insectes hyperprotéinée, produite de manière écologique, sans intrants chimiques. L’idée est primée au concours 101 projets. En deux ans, il passe d’une structure de deux à quinze salariés, puis en 2016, l’entreprise réalise une levée de fonds de 1,2 million d’euros. Dr Catherine Macombe HdR, is an agronomist and an ingénieur des Ponts, des Eaux et des Forêts. 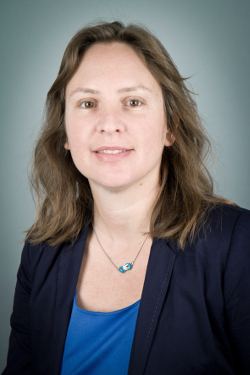 She helds a PhD in Management Science from Clermont Ferrand I University, and the HdR (habilitation à diriger la recherche) in Management Sciences from the University of Limoges. She is a researcher at Cemagref (whose new name is IRSTEA) at Clermont-Ferrand since 2002, and joined the ITAP Mixt Research Unit (Information-Technologies-Analyse environnementale- Procédés agricoles) in Montpellier, in October 2009. She worked several years in Chamber of Agriculture and in one agricultural cooperative. Then she became a teacher at one Centre de Formation Professionnelle et de Promotion Agricole, in distance learning, and in agricultural secondary school, to train future agricultural advisors. Since 2009, the topic of her research program is “social life cycle analysis”. She is working on the delivering of methods devoted to assess social impacts caused by future or past changes in the value chain of biobased products (agricultural, agro-food, biomass…). She is collaborating with about fifteen social scientists, in Europe and in Canada. She directs PhD theses which are dealing mainly with food product industries, but the methods might be relevant for other fields. 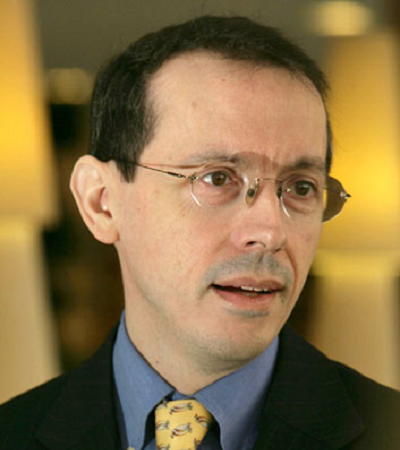 Frédéric Marion-Poll is a Professor at AgroParisTech and a researcher with the CNRS (Evolution, Genomes and Speciation laboratory), where he studies the sensorial control, especially gustative, of food intake by insects, with behavioural and electrophysiological approaches. He teaches crops protection from insects, within the context of chemical ecology, and he has initiated a teaching course in neurobiology at AgroParisTech. 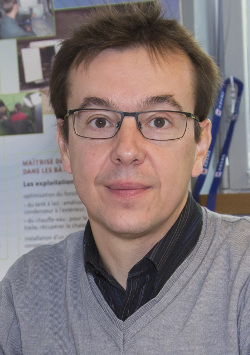 Before joining the CNRS, he conducted research on the significance of olfaction and gustation in plant-insect interactions at the INRA in Bures-sur-Yvette and Versailles. He also took two year-long sabbaticals in the USA (University of Arizona, Tucson) and in Australia (Australian National University, Canberra). Within the framework of INSECTINOV he is particularly interested in sensorial factors that condition and restrict acceptance and intake of new feeds by insects, and in how domestication may trigger changes in insect nutritional and reproductive behaviour. Damien Morel is a graduate entomologist from the university of Tours in France. His career started at the Insect Biology Research Institute (IRBI). Subsequently, he became a research engineer at Koppert BV, the worldwide market leader in biological pest control in horticulture. In Mexico and The Netherlands he worked on a project focussed on mass reproduction of beneficial insects. Damien is co-author of scientific publications and he has applied for a patent. He started APPI, a Koppert daughter company in 2013. APPI develops and markets biological pest control solutions and insect feed solutions for animals. APPI's biological pest control and insect feed products are now being sold in various countries in Europe. Damien has a passion for nature and solutions that contribute to a healthier planet. He is product manager for the European Breeding & Livestock markets at Koppert BV and manages APPI's day to day operations. FOGOH John MUAFOR is a holder of an Engineering Diploma in sustainable Forest and Wildlife Management from the University of Dschang in Cameroon. He is equally a holder of a Certificate of Research Capacity from Ecole Pratique des Hautes Etudes (EPHE) in Paris, France. 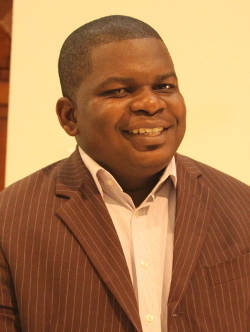 He is a senior staff at the Cameroon Ministry of Forestry and Wildlife (MINFOF), independent researcher and Co-founder of the Living Forest Trust (LIFT) Enterprise. He has largely contributed in research and the valorization of insects for human nutrition and poverty reduction in Cameroon. After conducting a number of studies on the socioeconomic potentials of forest insects, he invented in 2015, a technique that is currently being used to farm palm weevil grubs in Cameroon. As the Managing Director of LIFT Enterprise, he is specializing the company on insect production and processing into high quality snacks and animal feeds. Christina Nielsen-LeRoux is an engineer of agronomy (Denmark). She got a PhD at Pasteur Institute/Université Paris 6 in entomology-microbiology in 1994. 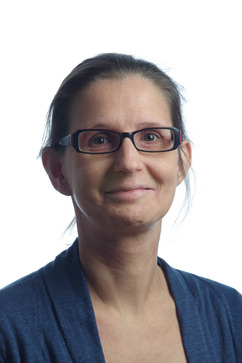 She held a position at Pasteur Paris until 2006 after what she integrated INRA DR2 in 2007. Her research at Pasteur Institute was dealing with the mode of action and mechanisms of resistance of bacterial toxins used for bio-control of mosquito larvae. At INRA, MICALIS Institute (Jouy en Josas) her research is focusing on the identification and function of virulence and adaptation factors of Bacillus cereus (Bc) and Bacilllus thuringiensis (Bt) (bio-insecticide). At present the major objectives concern the understanding of pathogenesis of Bc & Bt in the insect model Galleria mellonella, with focus on expression and roles of factors interacting with the host by desiccating the molecular mechanisms involved in the pathogen-host interplay notably in the insect gut. Thus insect pathology and particularly bacterial pathogens are the main lines. She is member of the international “Society for Invertebrate pathology (SIP)”of which she co-organized the annual conference held in Tours in 2016. Her implication in the field “ insect for food and feed” is basically concerned with insect health (eg. a small project funded by the INRA-CIRAD Glofoods programme); but also questions related to microbial risk and contamination of insect based products or microbial-insect biotech aspects are in her domain of interest. Florian got a master degree in Environmental Engineering at Strasbourg University in 2012. Passionnated by nutrition, communication and innovation, working for developping insects as a food source seemed as an obvious choice. He started in 2013 with a home-scale farm and continued with a blog, the first dedicated on the topic, to share his ideas and create new connections. At the same time, he created his own program that he followed in autodidact to better understand the subject. He followed courses from famous universities in various topics such as life science, social science, marketing as he attended at specialized seminars about edible insects. After becoming a personal trainer expert in fitness nutrition, he became consultant for setting up an insect farm for feed in France and then went to China for developing the world’s first table farm for edible insects with LIVIN farms. 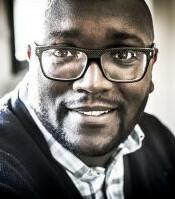 He’s now with JIMINI’S managing customer success, web marketing and developing brand image in front of instutitutions. Responsable de l’équipe « Dynamiques des Interactions Densovirus-Insectes ». Nous nous intéressons aux interactions virus-insectes. Nous développons des approches mécanistiques afin de comprendre la pathogénèse des densovirus dans des hôtes lépidopteres, leur spécificité et leur évolution. Nous développons également des approches métagénomiques pour comprendre la diversité virale et son évolution chez les insectes dans les agrosystèmes. Maelenn Poitrenaud was trained as a hydrogeological engineer by the École Nationale Supérieure of Geology in Nancy. 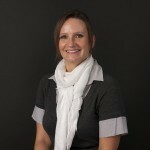 After having spent 15 years working for the research department of the Veolia company (VeRI), Maelenn Poitrenaud joined the SEDE teams in mid-2014 as the manager of Innovation and Development where she supervises a small team of engineers. In the course of working for VeRI, Maelenn Poitrenaud has held the position of research engineer in ground depollution and composting, before becoming manager of the “Biological Treatments and Agronomic Valorisation” team, which she remained for almost 10 years. From 2009 on she has overseen the research projects portfolio in the fields of Bio resources and then of Waste Valorisation. She is involved in inter-branch organisations dealing with agronomic valorisation and has been successively – and still is – an active member of several organisations at national-level (FNADE) and European level (FEAD, EUREAU). She also leads work groups at the AFNOR on compost valorisation. In addition she is in charge of coordinating collaboration between Veolia and the FNSEA. Sylvaine Poret studied Economics at ENSAE (National School of Statistics and Economic Administration) in Paris. She holds a Ph.D. in Economics from the University Paris I-Panthéon Sorbonne (2002). 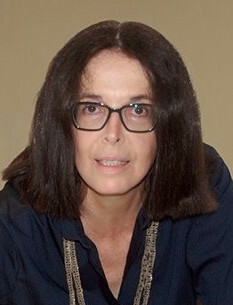 She is researcher at the French National Institute of Agronomic Research (INRA) and associate researcher at the Department of Economics at the École Polytechnique. Her research interests are in industrial organization, consumer behavior and public economics. Her research focuses on genetically modified organisms regulation, fair trade certification, and corporate strategy for sustainable development including the role of non-governmental organizations and consumers. Ms. Maylis Radonde is Quality and Production manager at MICRONUTRIS since 2013. She has a background in agriculture and life sciences from EI.PURPAN Engineering schools (France) and she specialized in food strategy and innovation. The challenge of the sector is to significantly increase the production of edible insects, while maintaining a strict cost and quality control policy. Maylis led the ISO 22000 certification of MICRONUTRIS, which became in 2015 the first insect breeding farm in the world to be ISO 22000 certified, an internationally recognized standard for the management of food safety. Philippe Schmidely is an agronomic engineer. He obtained his PhD from the National Institute of Agronomy in Paris Grignon in 1993 and he was given the Accreditation to lead research projects in 2000. He is the Director of the ‘Animal Nutrition-Product Quality-Animal Welfare’ UFR and is the Vice-Chairman of the SVS (Life and Health Sciences) department at AgroParisTech. He teaches animal sciences at takes part in the training of engineers in nutrition and animal feeding, in relation with the quality and health safety of animal products. He also takes part in the training of engineers in innovation and business performance. He is a researcher in the field of energetic nutriments partition by dairy ruminants in relation with digestion and metabolism, focussing on the metabolism of milk’s fatty acids and on the mathematical modelling of these nutritional processes. He has been a national expert (since 2003) and Chairman (since 2006) of the ANSES ‘Animal Feed’ Specialized Expert Committee: he has been the Rapporteur for 52 case files (authorization of additives in animal feed, nutritional claims…) and has taken part in 12 work groups (6 chairmanships) in order to counsel administrations (DGCCRF, DGAL) in their decision-making. Clarisse Toitot pursued her studies in a standard fashion, obtaining her graduation, post-graduation and doctorate from the universities of Reims, Lille and Compiègne (UTC), and she is specialized in vegetal biotechnologies. 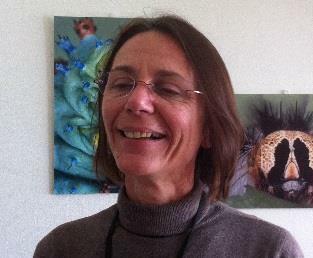 She joined in 2005 the “Abiotic Stresses and Differentiation of Cultivated Plants” laboratory (then called UMR/INRA 1281 and now called Institut Charles Violette) at the University of Lille 1, where she worked on the sequencing of a databank on linen, then on the acclimation of peas to cold weather (Estrée Mons, Pasteur Institute of Lille). She then specialized on DNA biochips technology (both synthetized and oligonucleotides microarrays). She joined in 2009 the Enzymatic and Cellular Engineering laboratory where she met Professor Daniel Thomas who taught her the fundamental principles of biotechnologies and his vision of the Biorefinery. Thus in 2012 she took part in the Adebiotech seminar on “Biorefinery for industrial and environmental by-products” as the writer of the proceedings for this event. In 2014, sharing its interest in the valorisation of biotechnological industries and willing to support Adebiotech’s actions, she joined the Association as a Mission head. Her assignment is to create bonds between the industry and the academic world in order to develop and create new biotechnological industries. Veterinarian graduated from National Veterinary School of Toulouse in 2001, Christophe TRESPEUCH, 41 years-old, has a significant experience in animal Health and vaccines industry. In charge of leading business development projects in European Union and Eastern Europe (France, UK, Hungary, Poland, Russia, Ukraine,…) as well as in Asia (China, Philippines…), Christophe has a deep knowledge about biotechnologies, international animal productions development, especially in poultry and pigs industry. Mindful of ecological transition stakes, Christophe has completed the Executive Master of Sciences “Innovations and Policies for Sustainable Food” delivered by the National Institute of Higher Education in Agricultural Sciences Montpellier SupAgro. Christophe rather focused on projects improving sustainable animal production and food. Acting for a more responsible agriculture, improving food quality and safety as well as minimizing environmental impact are its professional priorities and commitments. Entrepreneur and Managing Partner at MUTATEC - company dedicated to insect production for animal nutrition - he is particularly in charge of relations with products users and clients, technical aspects related to animal nutrition applications as well as relationships with investors. Dr. ir. 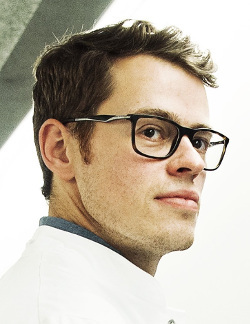 Maarten Uyttebroek has a master (2001) and PhD (2005) in Bioscience Engineering from the KULeuven, Belgium. From 2006 until April 2008, he worked as environmental consultant for ARCADIS Belgium. Since May 2008, he is research scientist and project manager in the field of soil remediation technology and later on renewable chemicals with a strong focus on valorization of biomass like insects and food processing by-products in the unit Separation and Conversion Technology of VITO, the Flemish Institute for Technological Research in Belgium. He has more than ten years of experience in environmental and biotechnological research and project management. For the moment, he is work package leader of the EU BBI project InDIRECT, focusing on biorefinery of insects, and the EFRO Insect Pilot Plant project. Furthermore, he is co-promotor of three PhD projects on biorefinery of insect biomass to proteins and chitin and biorefinery of fruit processing by-products. In the past, he was research leader of the FISCH project CHITINSECT and work package leader of several scientific and industrial projects on valorization of biomass and soil remediation technology. Paul Vantomme, Senior Officer, FAO - HQ in Rome, Italy. Paul Vantomme graduated as Agriculture Engineer in 1977 at the Gent State University (Belgium). He is a Rural Development and Natural Resources Management expert with 40+ years of international experience in tropical countries addressing research and development issues in environmental conservation, natural resources management and food security for socially, economically and environmentally sustainable development, including extensive field work in many countries of Asia, Africa and Latin America. Since 1995, he has been in charge of FAO’s ‘Non Wood Forest Programme’, which has been instrumental in raising awareness on the huge potential of wild-gathered foods and insects as a valuable protein source to supplement human diets or for use as animal feed stock. He set-up a global programme at FAO in 2008 for the promotion of insects for food/feed security (http://www.fao.org/forestry/edibleinsects/74848/en/) and organized a series of international expert meetings and Conferences bringing together — for the first time ever at the global level —experts, government officials and entrepreneurs from different aspects of insect rearing and processing. He developed the UN - FAO landmark report: ‘Edible insects: future prospects for food and feed security’. 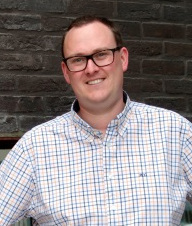 Paul has a proven experience in awareness raising and outreach activities at the global level on the promotion of edible insects as shown by a huge media attention generated on this topic since 2009. Responsable de l’équipe « Biologie Intégrative des Interactions Hôte-Parasitoïdes » (B2iHP). Dans l’équipe B2iHP, nous nous intéressons à la compréhension des mécanismes sous-tendant les interactions entre les virus symbiotiques d’hyménoptères parasitoïdes et leurs hôtes insectes. Par différentes approches allant de l’étude des mécanismes moléculaires à la génomique, nous étudions différentes facettes de ces interactions. Les principaux thèmes abordés sont la morphogenèse des virus symbiotiques de la famille des polydnavirus, le rôle des facteurs viraux dans la manipulation de la physiologie de leur hôte lépidoptère, ainsi que l’origine évolutive et la diversité des associations virus symbiotique-hyménoptère. 1987-1993. Doctorante puis Chercheure au Centre INRA d’Antibes, Lutte biologique. Travaux sur les Interactions hôte/parasitoïdes oophages. 1993-2005. Chercheure à la Station de Pathologie Comparée, St Christol les Alès, Centre INRA de Montpellier. Travaux sur les Polydnavirus, virus endogènes associés à certaines espèces de parasitoïdes larvaires. 2000-2001. Séjour au Laboratoire du Prof. B.A. Webb, University of Kentucky. Travaux sur les Polydnavirus. 2005-act : Chercheure dans l’UMR DGIMI, Centre INRA de Montpellier. 2008 : HDR. Spécialité: SIBAGHE (Systèmes Intégrés en Biologie, Agronomie, Géosciences, Hydrosciences, Environnement). Stratégies de développement chez les hyménoptères endoparasitoïdes et interaction avec leurs hôtes. Depuis 2015, directrice de l’UMR DGIMI. Ariane Voyatzakis holds a master’s degree in engineering from Agroparistech and a master’s degree in finance from Sciences Po Paris. 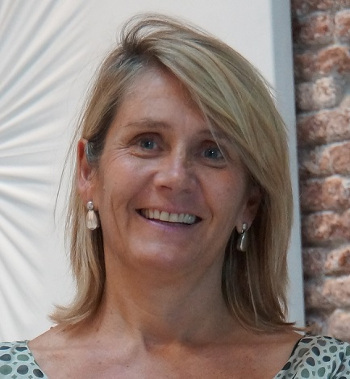 In 2001, she joined Bpifrance as a venture capital investor in life sciences. Since 2005, Ariane has been head of the Agro-food sector within the Innovation Department. She performs technical and financial analysis of innovation projects, is in charge of public relations and publishes an annual report of innovation trends in the sector. 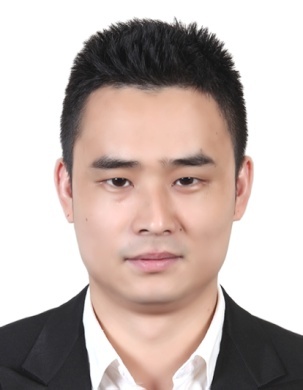 Longyu Zheng, has completed his PhD from Huazhong Agricultural University (HZAU), China, in 2012 and did collaborative research on Entomology at Texas A&M University and USDA, USA, during 2009-2010. Currently Dr. Zheng is Associated Professor at HZAU and State Key Laboratory of Agricultural Microbiology. His research has been focusing on waste biomass management employing insects, especially black soldier fly, and microbes to produce bioenergy, animal feed, microbial fertiliser and other coproducts. He established and optimized the insect mass production technology and has published more than 30 papers in reputed journals.